Agreement. By accessing this Web site, you agree to the terms and conditions herein which will take effect on your first use of the Web site and that it will apply to all persons accessing this Web site from your computer or device. You agree that you are obligated to review these terms and conditions on a regular basis for any changes and that you agree to be bound by those changes. We have the right to amend the terms and conditions herein at any time without notice to you by making changes as posted on the Web site. No Medical Advice. The information contained on this Web site is general in nature and should not substitute for, or be used instead of, a clinical relationship with a health care professional who is fully familiar with the specifics of your case. Nothing in this Web site is intended as a recommendation or endorsement of any specific tests, products, procedures, health care provider, opinions or other information that may be mentioned in this Web site. Any reliance on any information provided by the Web site is solely at the user’s risk. E-mail correspondence with Eastern Virginia Ear, Nose and Throat Specialists or any of its physicians, will not, in and of itself, create a physician/patient relationship between us or cause us to create or retain any medical records about you, monitor your care, or communicate with your own health care provider. Always seek the advice of your physician or other qualified health care provider with any questions you have regarding your medical care. If you suspect that you may have a medical condition, or are seeking medical advice or treatment, we recommend that you consult a qualified health professional as soon as possible. Proprietary Rights. 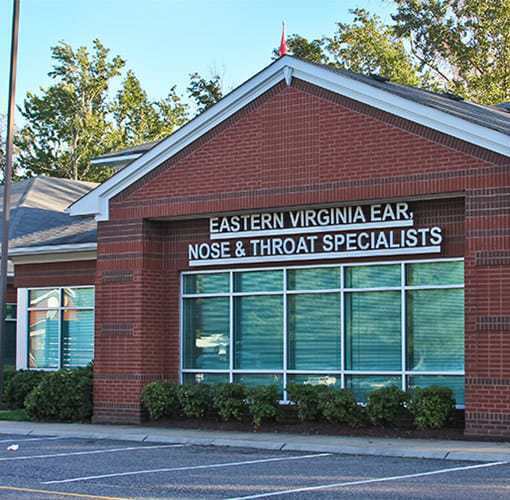 The content displayed on this Web site is the property of Eastern Virginia Ear, Nose and Throat Specialists or third parties. Unless otherwise noted, everything you see or read on this Web site is copyrighted and may not be used except as provided in these terms and conditions or in the relevant text on this Web site. The use of the content by you, or anyone authorized by you, is prohibited except as specifically permitted by these terms and conditions or as specifically provided in prior written permission by the owner of such content. No Warranty. 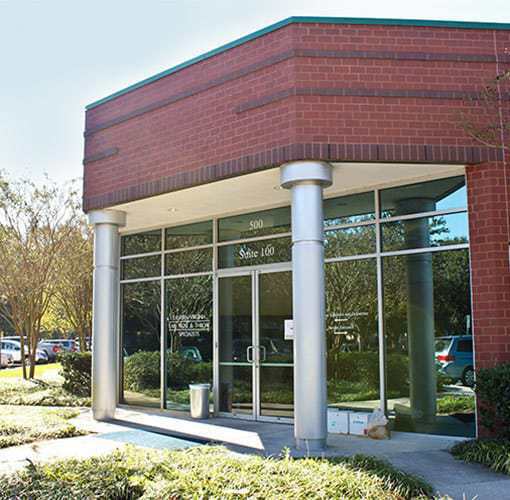 THIS WEB SITE, AND ALL CONTENT CONTAINED ON THIS WEB SITE, IS PROVIDED “AS IS.” EASTERN VIRGINIA EAR, NOSE AND THROAT SPECIALISTS DISCLAIMS ANY AND ALL WARRANTIES, EXPRESS OR IMPLIED, RELATED TO THIS WEB SITE AND THE CONTENT, INCLUDING ANY WARRANTIES OF MERCHANTABILITY AND FITNESS FOR A PARTICULAR PURPOSE, AND INCLUDING ANY WARRANTIES AS TO THE ACCURACY, COMPLETENESS, TIMELINESS, CORRECTNESS OR NONINFRINGEMENT OF THE DATA, MATERIALS, INTERPRETATIONS, ANALYSES, REPORTS AND ANY OTHER INFORMATION AVAILABLE THROUGH THIS WEB SITE. While we use efforts we deem reasonable to insure the integrity and accuracy of this Web site and the content (which is updated periodically), it is possible that the Web site may include inaccuracies or errors, and that unauthorized additions and alterations may be made to the Web site by third parties. Reliance upon or use of the Web site and its content is solely at your own risk, and we make no guarantees whatsoever as to the correctness or accuracy of the content. Link Disclaimer. Links to third-party Web sites on this Web site, if any, are provided solely as a convenience to you. If you use these links, you will leave this Web site. We have not reviewed any of these third-party Web sites and do not control and are not responsible for any of these Web sites or their content. Thus, we do not endorse or make any representations about them or any information or product or materials found therein. If you decide to access any of the third-party Web sites linked to this Web site, you do so entirely at your own risk. Transmitting Information. You should be aware of the general risks of transmitting information over the Internet, which may not use encryption. You should therefore not share any personal medical information that you would wish to be held confidential in a physician/patient or similar clinical relationship. Intellectual Property Laws. 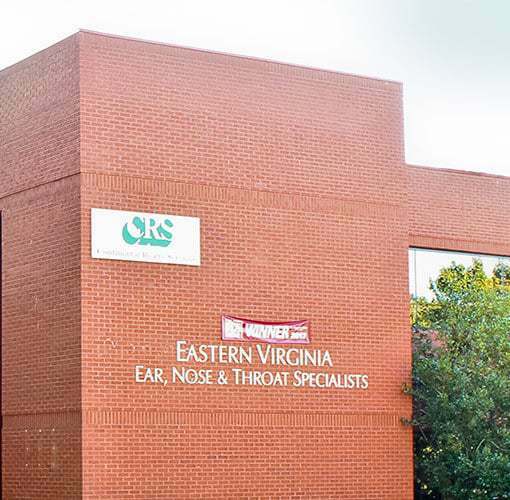 This Web site, including without limitation, any logos, images and information contained herein, are the property of Eastern Virginia Ear, Nose and Throat Specialists and are protected by copyright, trademark and other intellectual property laws. By using this Web site, you agree not to reproduce, retransmit, distribute, disseminate, sell, publish, broadcast, print or circulate any of the contents of this Web site to anyone without the express, prior written consent of Eastern Virginia Ear, Nose and Throat Specialists. Governing Law/Jurisdiction. These terms and conditions are entered into in the Commonwealth of Virginia and shall be governed by and construed in accordance with the laws of the Commonwealth of Virginia, exclusive of its choice of law rules. Each party to these terms and conditions submits to the exclusive jurisdiction of the state and federal courts sitting in the City of Norfolk in the Commonwealth of Virginia, United States of America, and waives any jurisdictional, venue, or inconvenient forum objections to such courts.